Fine lines, to deep nasolabial folds and loss of volume can all be addressed with different products available in the office to achieve the desired results. Lip augmentation and restoration of volume loss in the cheeks and temples, from aging, or weight loss due to dieting and exercise can all be restored with a short office visit, using a non surgical approach. 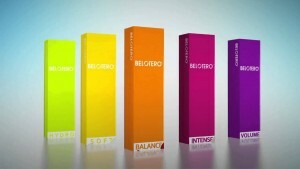 We offer the Belotero and Radiesse line of long lasting, but non permanent fillers in the office. Injections are all done using combined products with lidocaine for optimal comfort.